This conversation was a microcosm of the reason I left the Valley. No doubt, this guy had a good-looking website, and two co-founders who had signed on to the idea. That part was great. This person I talked to was just one of thousands of people caught up in that mentality. My point with this story isn’t to slam him or his site, which is why I’ve anonymized the conversation. It’s to point out the ridiculous goal misalignment in Silicon Valley–funding over revenue; short-term growth over long-term business strategy. While I agree with Erica that emphasizing funding over revenue and short-term growth over strategy makes little sense, I disagree that this means that Silicon Valley is broken. In fact, I’m going to argue that it’s a feature, not a bug, and that the Silicon Valley Posers that Erica so despises are a necessary part of what makes Silicon Valley so successful. Every few years, Silicon Valley seems to undergo another boom. Personal computers. Biotech. The Internet. Web 2.0. Social. And during every boom, the Valley fills with posers. 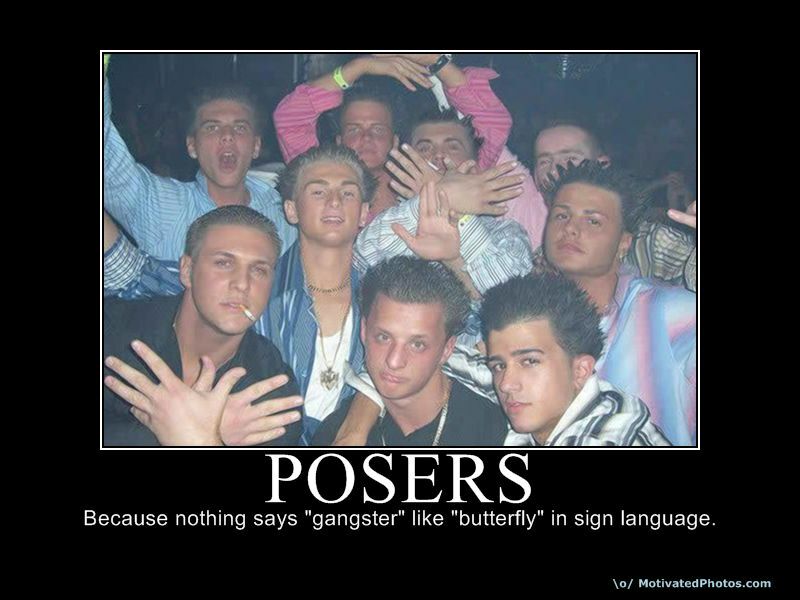 There’s actually much to admire about the posers. Like the original 49ers who came out to California for the original Gold Rush, they’re willing to take risks and try new things. The fact that most of them will fail miserably is their problem, not yours. The real secret behind Silicon Valley is the willingness to fail. The odds of starting a successful company are slim; even venture-backed companies have about a 1 in 10 chance. But because we don’t penalize smart failure, and give people second chances, we encourage more startup activity than any other place on Earth. We may have 10 times the failures of other cities, and some of those failures can be pretty embarrassing (Pets.com anyone?) but we also have 10 times the successes, and a single Google or Facebook can make up for an awful lot of failures. The Silicon Valley success formula is simple: Build something great, change the world, get rich. The posers arise because during boom times, Silicon Valley is so encouraging of startups that people who have no businesses being entrepreneurs start their own companies. These get rich quick artists forget that getting rich is merely the *consequence* of building something great and changing the world. The very optimisim that makes Silicon Valley so successful during normal times becomes a negative during boom times as it tips over into irrational exuberance and attracts an army of posers. The posers will bring on an inevitable bust, and during the carnage that follows, the ecosystem will rid itself of the posers and renew itself. And each time, the world will be a little be better off because of the great things we built along the way.